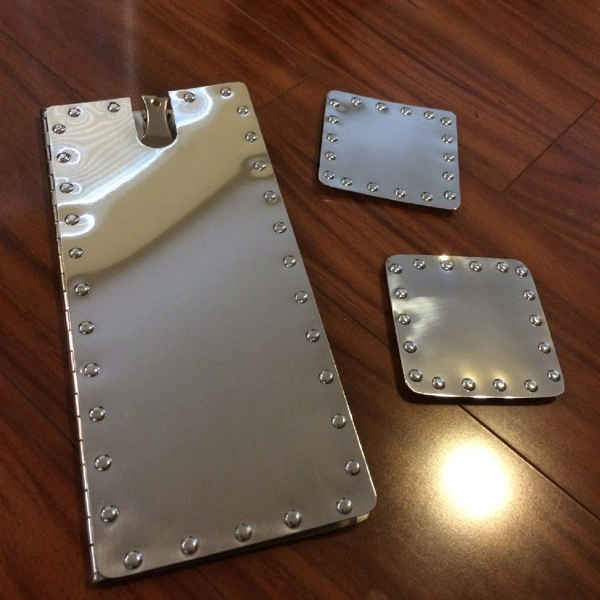 You are looking at hand made, one of a kind World War Two Bomber inspired polished aluminum restaurant Bill Book and matching pair of Drink Coasters. Of course with any of my products, I am more than happy to make items to your on specifications and taste. Would you like more, or less rivets? Smaller or larger?